Melissa Ledri has been a teacher with BUSD for over fourteen years. She is a strong instructional leader with a passion for both reading, writing and the arts. Her colleagues describe her as "an incredible language arts teacher" who is always flexible and gives freely of her talents for the common good. Recently when the yearbook program was in jeopardy, Ms. Ledri volunteered to absorb the project into one of her art classes so the students would not miss out on preserving the memories of their middle school experience. Ms. Ledri has a heart for supporting students who need extra help, and she has provided both before and after-school interventions for students. Her strong content knowledge and the high standards she expects of all students makes her a leader on the middle school campus and throughout the district. 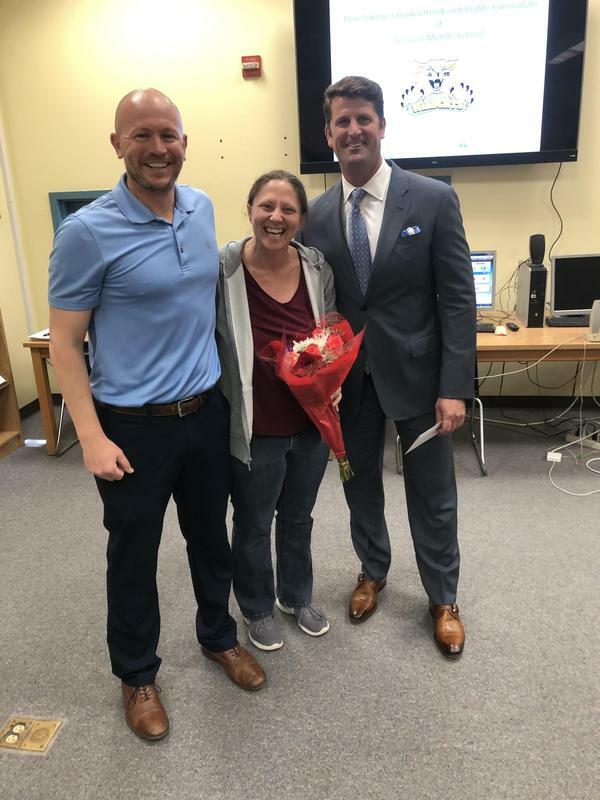 We are proud Ms. Ledri will be representing Bonsall as a nominee for 2019 San Diego County Teacher of the Year!